Mirjana "Mira" Marković was the wife of former Yugoslav and Serbian president Slobodan Milošević. She lived under political asylum in Russia from February 2003 to her death on 14 April 2019. 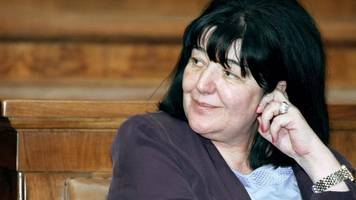 Mirjana Markovic, the widow of Serbia's late strongman Slobodan Milosevic, who played an instrumental role in politics, has died aged 76, state-run RTS TV reported. Mira Markovic was a key figure during the collapse of Yugoslavia in the 1990s.